Power surges: The bane of computer users who haven’t remembered to back up that crucial home finance spreadsheet, or the new draft of their potential Great American Novel. At one time or another, all of us have had to deal with the nightmare that a power surge can cause when it abruptly shuts off the power in our home. Although the loss of power is annoying (make sure you back up your computer regularly! ), the real hazard of a power surge is that the sudden influx of electrical current can damage appliances, frying and melting circuitry. Sometimes surges can even trigger fires. The usual solution people have for surges is power strips plugged into outlets. These are fine for preventing overloads from single outlets and to protect electronics like laptop computers. However, we recommend you also have a whole-house surge protector installed. You can hire a professional electrician in Hartford, CT to handle this task. Call Electrical Connection, Inc. today to ask about our surge protector services. What is the benefit of having a whole-house surge protector? Power surges are not always big, dramatic events that come from downed power lines or lightning strikes. In fact, according to the NEMA Surge Protection Institute, 60-80% of surges come from inside the home when larger appliances suddenly make demands on the electrical power supply. Small surges are still damaging: they wear down appliances like your heater, AC, and refrigerator. These surges over time will take a toll on plasma TVs, computers, stereo systems, and microwaves. If you notice that the lights in your home occasionally dim for a second whenever a large device turns on, then you should consider a surge protector to alleviate the damage this might be causing. A whole-house surge protector channels away small surges and prevents them from damaging your appliances, something local power strips can’t do. However, some surges occur so fast—in mere milliseconds—that you won’t even notice them. If you have complex electronics hooked up in your home, you should have a whole-house surge protector as a basic precaution. We don’t recommend you toss out your power strips, however—think of them as an extra layer of protection for your most valuable devices. Just like backing up your computer’s data, you can’t be too cautious! 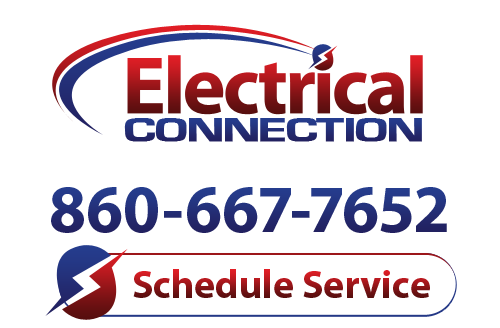 Contact Electrical Connection, Inc. for an electrician in Hartford, CT who can hook up your home with the safety of a whole-house surge protector in no time at all. Call us today for an estimate.